For reasons that will depend on your point of view, David Cameron never quite got around to building his Big Society. It seems Theresa May will now attempt to construct one, at least in the area she indicated would be her top domestic priority: mental health. 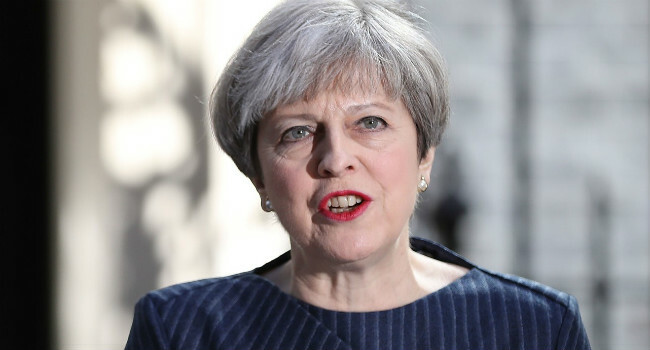 The prime minister and her health secretary, Jeremy Hunt, believe it will take at least three years to establish and fill 21,000 new posts in professional mental healthcare. The proposed new Mental Health Act, the vaguest of concepts as it is, will take longer. It’s all too distant if you’re already living with depression or anxiety. Or if you love someone that’s self-harming or discussing suicide. Or if you work in over-stretched services and can’t provide the care you want to. May’s interim plan, which has slowly revealed itself since June’s general election, entails “training up the public” to support each other. The new school year, now under way, will be the first in British history where all secondary schools will train at least one teacher in mental health first aid. Meanwhile the ‘community interest company’ backed by government to deliver that course, Mental Health First Aid England, has just launched a bespoke programme targeted at university staff and students. "Over 200,000 people in England are already Mental Health First Aid trained and this number will rise sharply now that it has been backed by the government. Many participants expressed feeling scared by the issues raised. Others seemed particularly keen to master 'how to diagnose'." It’s encouraging to see politicians recognise the importance of supporting people with their mental health at an early age, before they reach crisis. It’s important because 50 percent of mental health problems are established by age 14 and 75 percent by age 24. The National Children’s Bureau say one in four 14-year-old girls have diagnosable depression. These are statistics, but we are talking about people: daughters, sisters… adults too; all genders. Even if you are considered likely to benefit from professional therapy by your GP, you are currently highly unlikely to receive it when and while you need it. But can society shoulder such responsibility for preserving others’ mental health? Mental Health First Aid England’s university course comprises a day’s worth of content. Their workplace equivalent runs over two days. By way of comparison, it takes eight years to train as a psychiatrist. To train and receive accreditation as a therapist is also an involved process. It takes four years of theory, 450 hours of practice, and the individual must undergo counselling themselves as part of their study. I recently attended the two day course. There was much to applaud and to be comforted by. Never underestimate how many people have been directly or indirectly affected by mental health issues, and how positive it is that large numbers want to take on greater responsibility. This is precious. Nevertheless, I was struck that many participants expressed feeling scared by the issues raised. Others seemed particularly keen to master “how to diagnose”. A minority were marketing professionals. Corporates will inevitably see the potential value to their brands of championing mental health after Harry, William and Kate made it a celebrated cause. These issues should not be underestimated. It's unacceptable that, 17 years after being rolled out, patient outcomes from this model of mental health first aid are still not measured. While it was easy to see holes, the framework provided does conform to the non-judgmental principals of counselling. The trainer discouraged attendees from attempting to diagnose and emphasised how to listen and signpost to professional support. She shared the professional and lived experience she’d accrued over 30 years in an informed but non-prescriptive way. Her employers told Mental Health Today they would "welcome" contributions from academics on how best to measure the course's success. The nation’s mental health literacy will generally improve the higher the take-up the course receives. A video case study illustrating psychosis is one part of the content that, to my eyes, serves more to stigmatise and simplify than to engender sympathy and understanding. I’m told this may be replaced in October. Elsewhere, discussion of conditions including bipolar, anxiety and depression are structured sensitively. Over 200,000 people in England are already Mental Health First Aid trained and this number will rise sharply now that it has been backed by the government. May announced last month that 100,000 teenagers will receive awareness training through the national citizen service, a youth movement established by David Cameron and still steered by the former prime minister. There is arguably more need for a big society in 2017 than there was in the period before first recession, and then Brexit, stole the agenda. Five times more students disclosed mental health problems last year than were doing so ten years ago. The general population, taken as a whole, is being prescribed twice the number of antidepressants it was in 2007. Austerity, among multitude other factors, has had an impact on our collective wellbeing. An expected exodus of EU mental health professionals will compound this. Over the next three years mental health care will be the belated first real test of the big society idea we’d forgotten existed. It is too important to serve as an experiment.